Read one of the following books. Choose a book you have not already read. 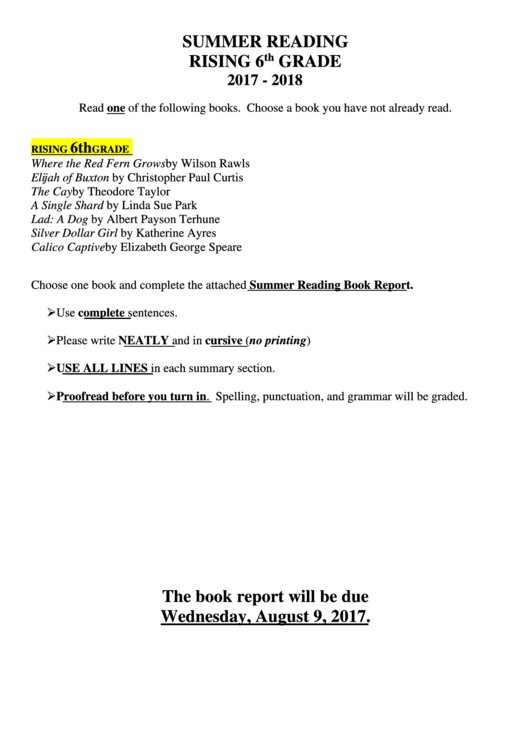 Choose one book and complete the attached Summer Reading Book Report.  USE ALL LINES in each summary section.  Proofread before you turn in. Spelling, punctuation, and grammar will be graded.